At its CES press conference on Monday, Sony outlined “Play” as its theme this year as it develops its range of entertainment offerings from 4K video content to gaming. In 2009, Sony established nine distinctives: play, listen, watch, learn, discover, communicate, create, and share. At last year’s CES, Sony focused on “Watch.” This year’s play theme is all about having fun through creating, consuming and playing new content. Netflix CEO Reed Hastings made an appearance during the event to highlight its 4K partnership with Sony. The video service plans to offer “Breaking Bad” in Ultra HD. 4K streaming on Netflix will work on 15Mbps connections. 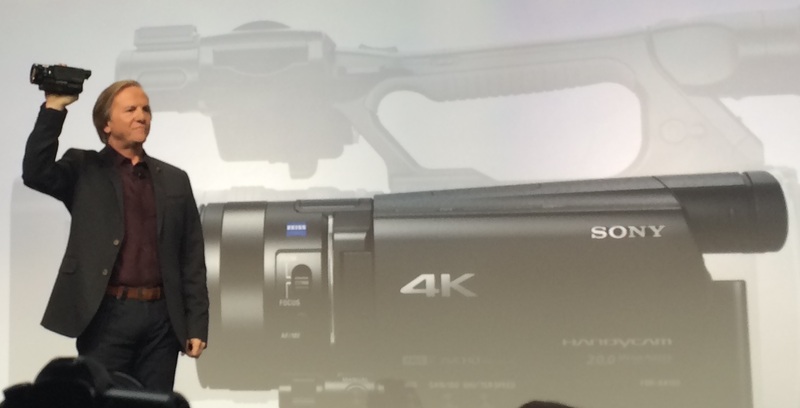 Sony also took the wraps off a new 4K Handycam model that is smaller, more powerful and will cost just $2,000. Core, a new wearable device coming this spring, will pair with a new Lifelog Android app for helping users track their activites. Sony also announced two new handsets: the Xperia Z1 Compact and the Z1S, an exclusive for T-Mobile US.